I love soups, all kind of them! They are the ideal winter dish, especially when you are sick. Some days ago I was ill, didn’t go to work and made many of them. This is the easiest and simplest of all but nevertheless it tastes heavenly! 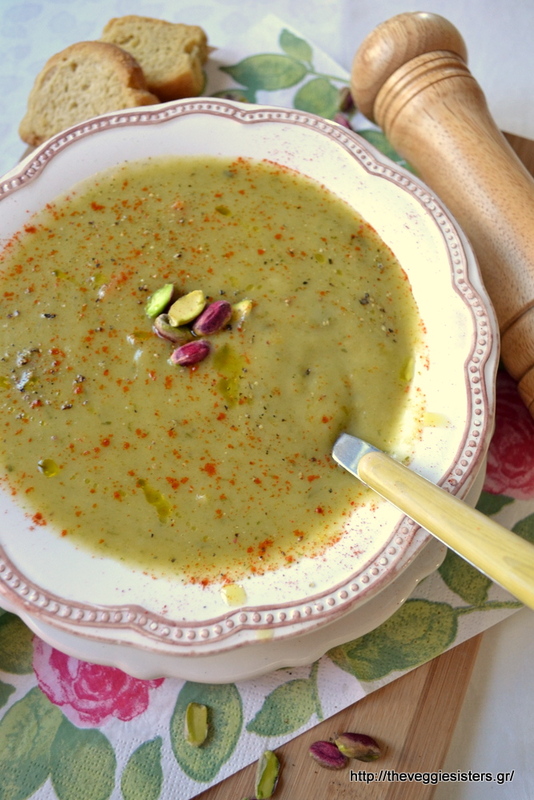 A velvety soup made of veggies and topped with pistachios. 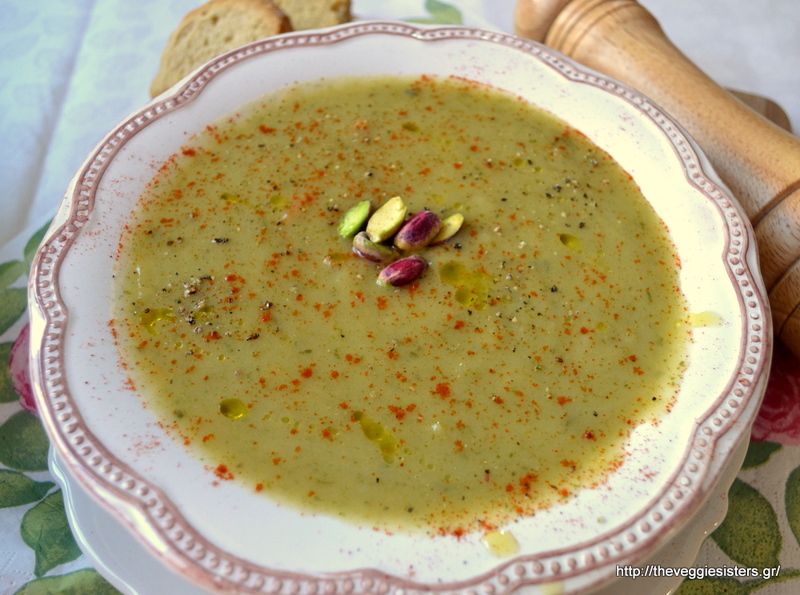 It is a dish that takes me back when I was a baby and ate only soups…I dedicate this post to our father who loves soups and today it is his nameday! Daddy, thank you for all the things you have done for us! You are the best father in the world! In a saucepan place all veggies chopped and cover with water. When tender, season with salt and pepper and pour oil. WIth an immersion blender puree the soup. Transfer it back to the saucepan and allow to come to a boil. 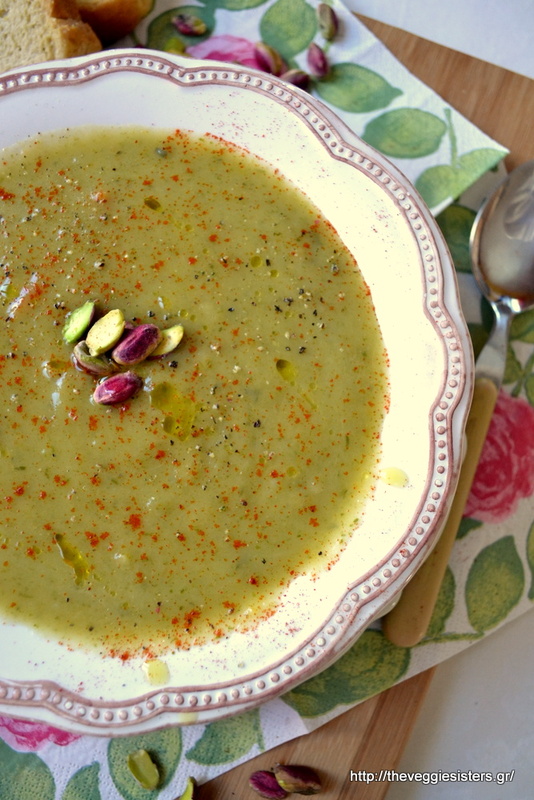 Serve, top with pistachios and sprinkle paprika. Enjoy! Share the post "Velvety veggie soup"